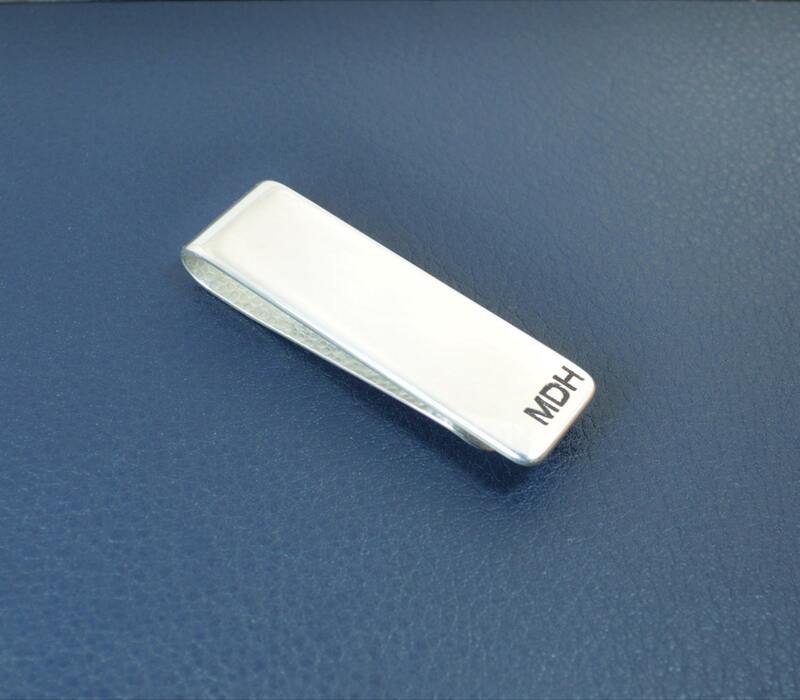 Sturdy and Handsome Sterling Silver Money Clip. - Customized lettering and designs. 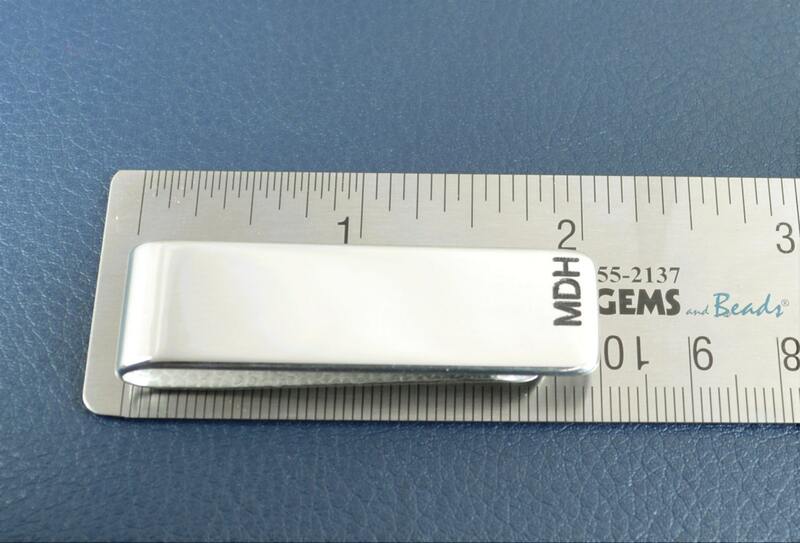 - 2" long, 1/2" wide Sterling Silver. 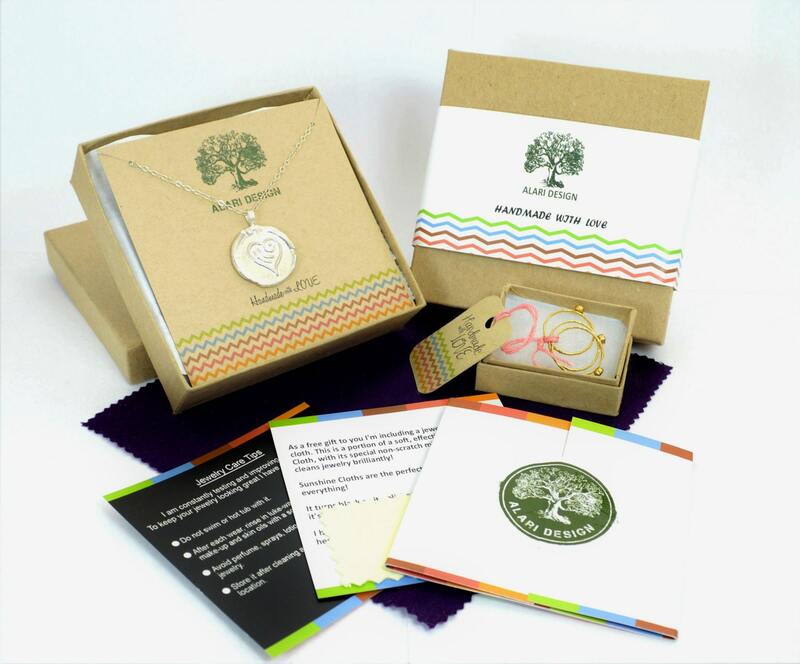 Choose any words, initials, or symbols that will fit. 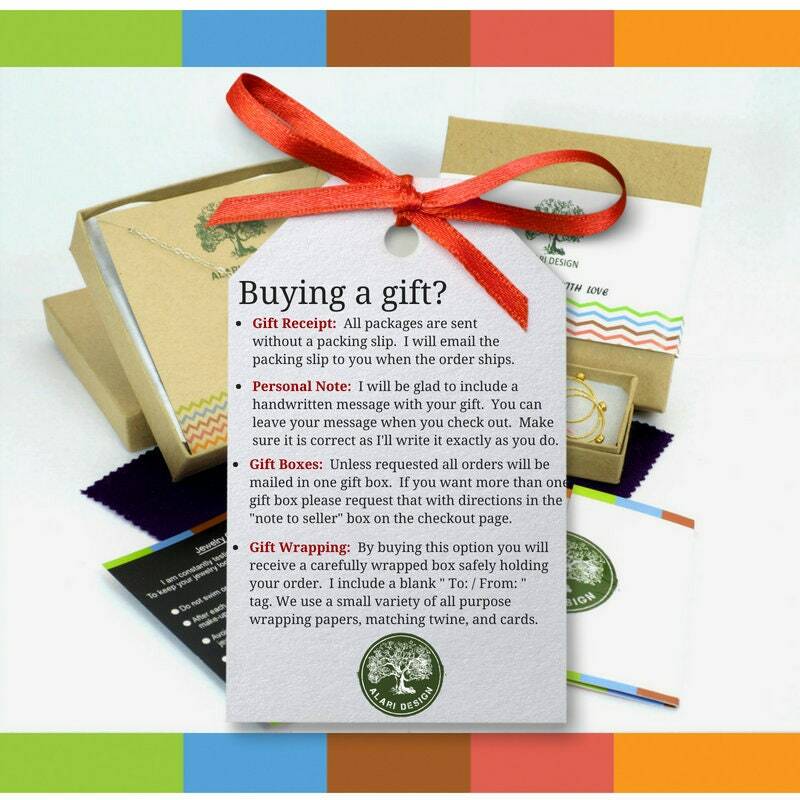 Upon Checkout, Please Include Your Lettering or Initial(s) in the 'Note to Seller' Box. Please be very specific about order and justification. Contact me about fully customized engraving, including drawing, signature, and art designs. 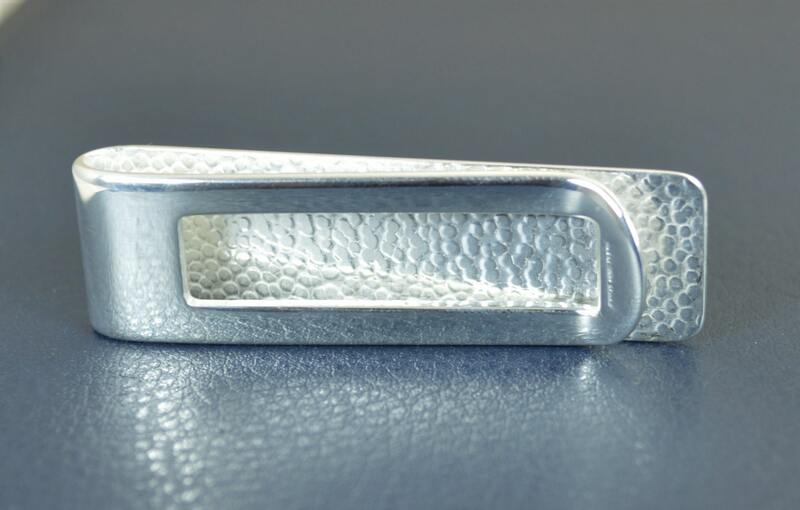 This is a beautiful money clip, extremely well made! My fiancé hates wallets because they are bulky so this was the perfect gift for him, it I slim and classy- holds his id, credit cards and some cash very well. It is absolutely beautiful and I cannot recommend this enough! Thank you Alari! This money clip was a Christmas gift for my husband & he loves it— not too bulky, good clasp (better with more than a few bills to keep it secure) & the engraving came out perfectly. I had contacted the shop owner with a question and his answer was quick & helpful, even in the middle of December holiday chaos. It also arrived promptly and with really lovely packaging & care instructions— perfect for a gift. I will definitely purchase from this shop again— thank you! very well made and quick! thank you!! Heavy, very nice. My husband will love it! Michael is great to work with. He responded quickly to questions and allowed me to personalize the design. Shipping was quick and the packaging was ready to be given as a gift. Thank you!